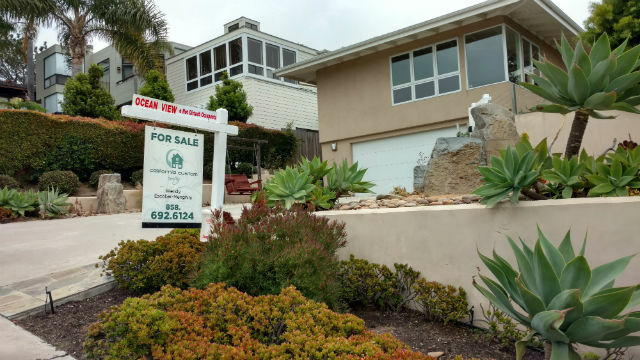 Sales of existing, single-family detached homes in California fell for the seventh consecutive month in November, the California Association of Realtors reported Tuesday. November’s sales figure was down 3.9 percent from October and 13.4 percent from November 2017. Homes were selling at a seasonally adjusted annual rate of 381,400 units in November, compared to 440,340 a year ago. Sales in San Diego were down 8.4 percent from October and 11.0 percent compared to last November. The statewide median home price declined to $554,760 in November, down 3.0 percent from $572,000 in October but up 1.5 percent from a revised $546,820 in November 2017. Prices are falling in San Diego as well. The median price in November was $626,000, down 1.5 percent from $635,500 in October, but still 1.0 percent above last November’s $619,900.